I have to be honest- my past experience with Ball jars was to either use one as a vase or as a glass for a dark and stormy. Never in my wildest dreams would I ever consider actually canning something. 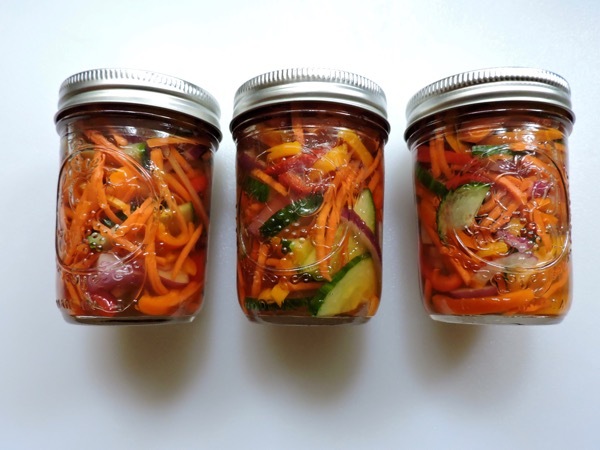 I was afraid that I wouldn’t sterilize the jars properly, seal the lids correctly, and whoever consumed what was in them might get a severe case botulism. I believed the process had to be complicated and fraught with pitfalls that could land one in the emergency room. 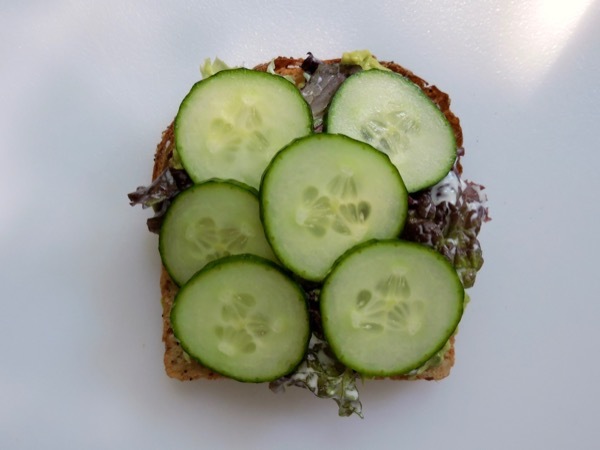 I guess I had never really read a recipe for refrigerated pickling. 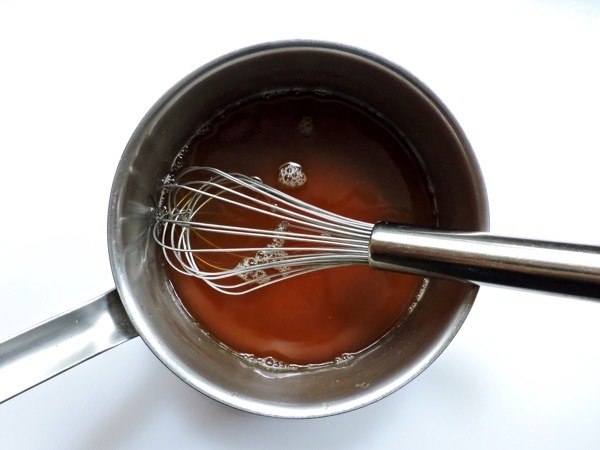 Essentially all you do is bring a simple brine of vinegar, sugar and salt to a boil, then pour over sliced vegetables in heatproof jars, twist on the lids, and pop in the refrigerator. 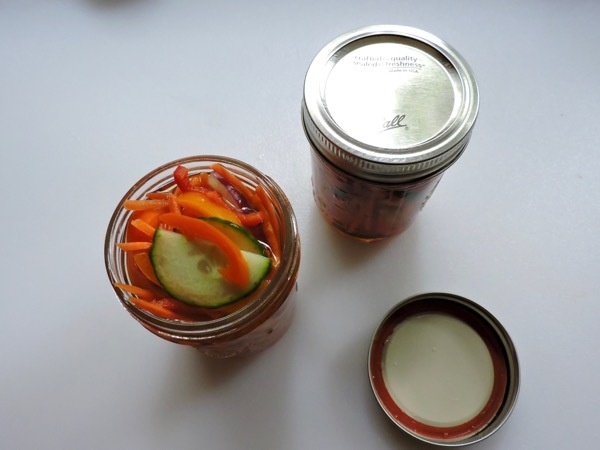 No boiling of jars, no pectin, no wax, no worries. Can I tell you the sense of accomplishment when you open the frig and see all those colorful containers looking back at you. And imagine the pride when you bring one to a friend saying, “oh here’s a jar of my homemade pickles”… now who’s Suzy Homemaker!? 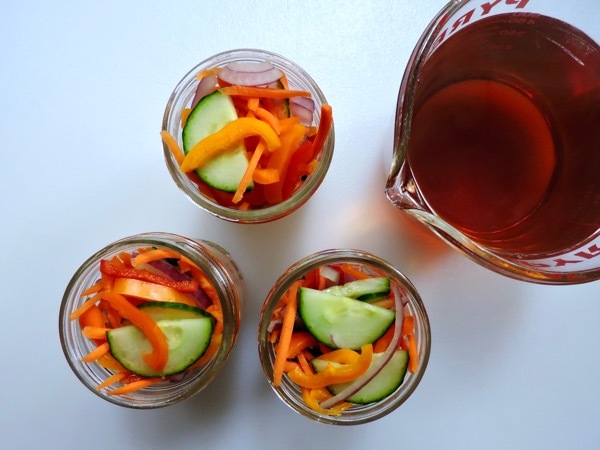 For these pickled vegetables start prepping your veggies. 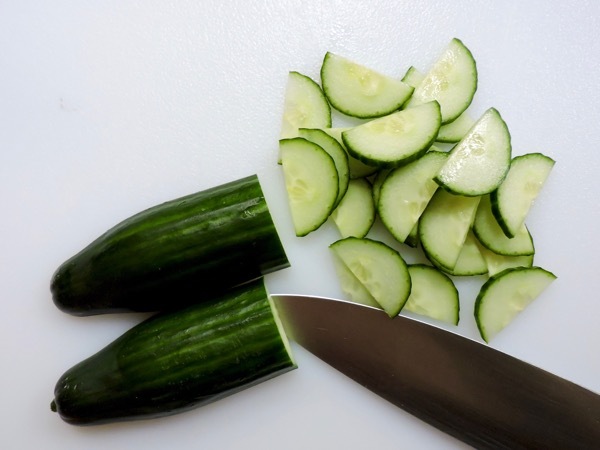 Halve and slice a cucumber. 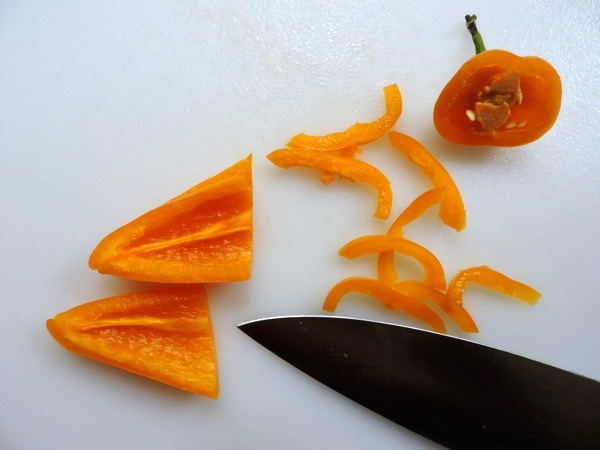 Remove the seeds and ribs from small sweet peppers and slice. 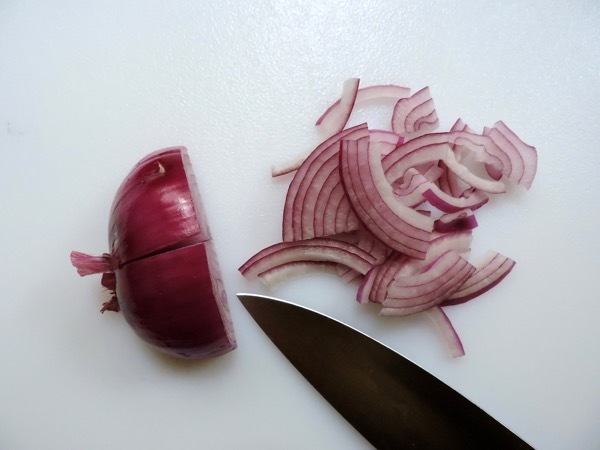 Halve and slice a red onion. 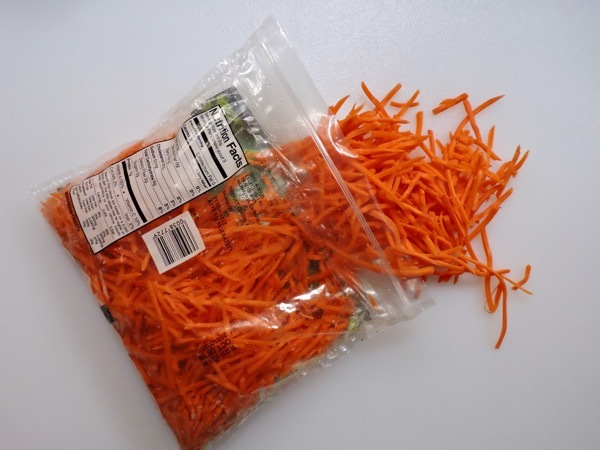 Packaged shredded carrots makes fast work out of the carrots. 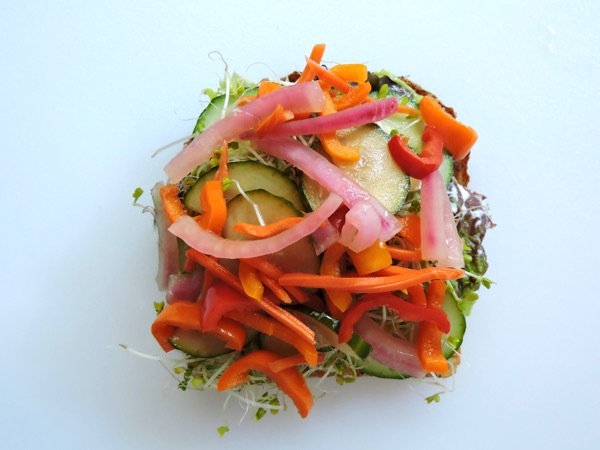 You are going to want four cups total of sliced veggies. 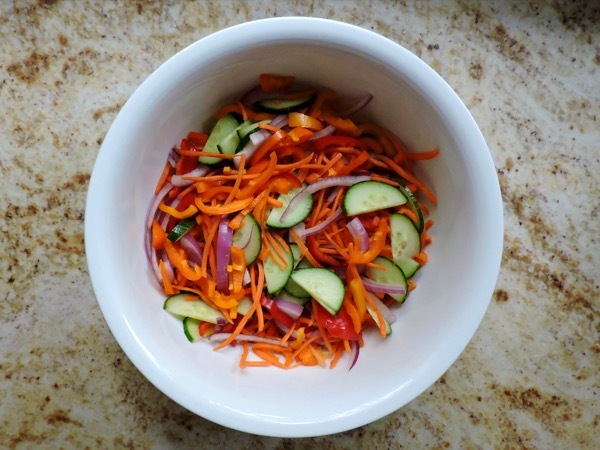 Place the vegetables in a large bowl and give a big toss. 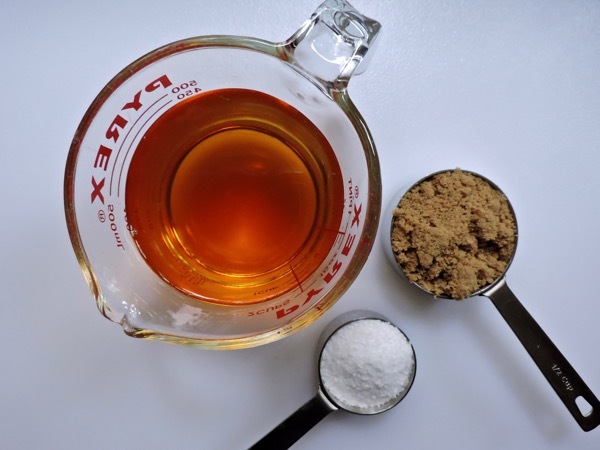 Bring two cups of cider vinegar, ½ cup of packed brown sugar, ¼ cup of kosher salt and two cups water to a boil in a large saucepan. 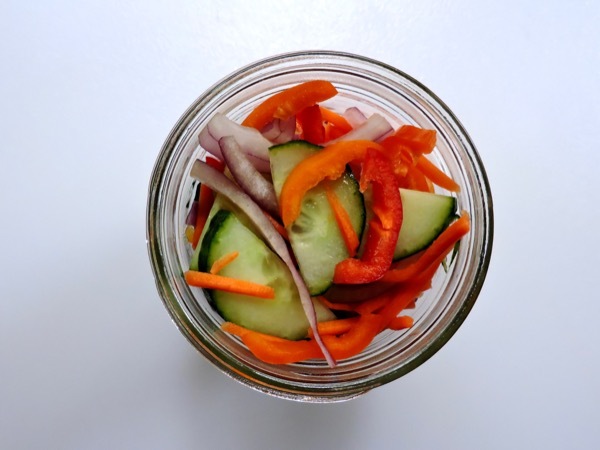 Meanwhile pack the vegetables into clean heatproof glass jars. Carefully pour the hot brine over the vegetables. 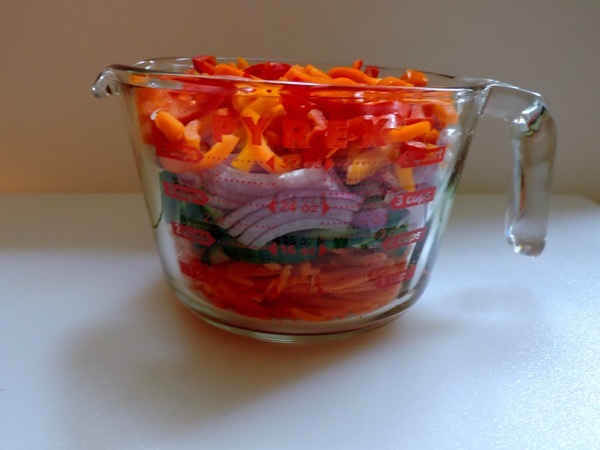 Using a large pyrex measuring cup can help reduce spills. Cover and chill. The pickles will keep for two weeks in the refrigerator. 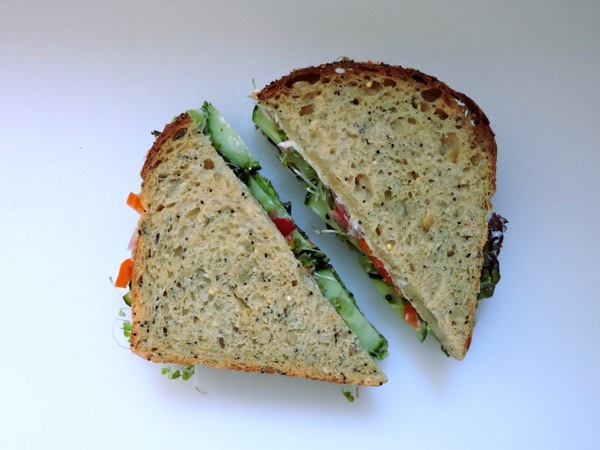 Now how about tucking those homemade pickles inside what has to be one of the best sandwiches of all time- you must try this veggie sandwich. 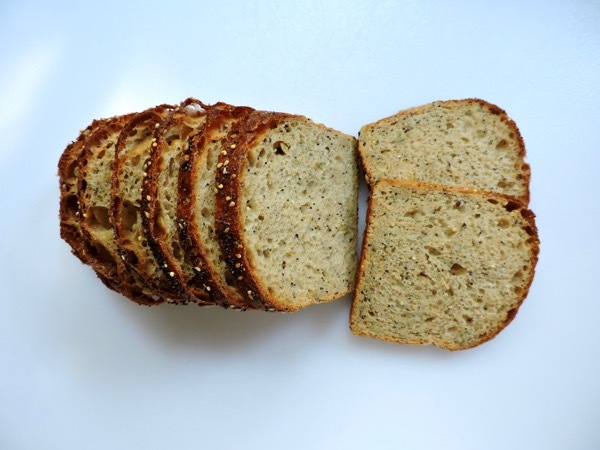 Start with bakery fresh multigrain or seeded bread. 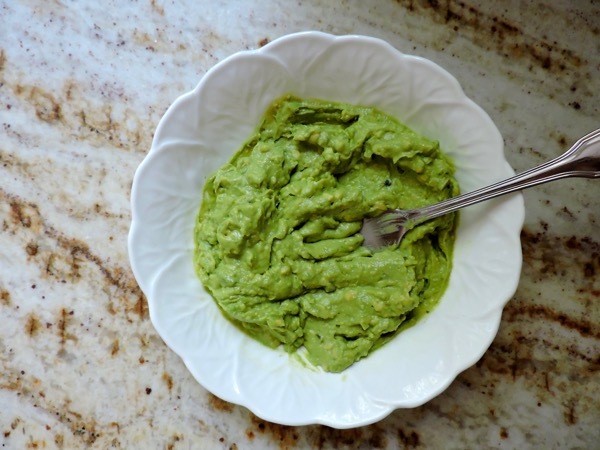 Scoop out a ripe avocado into a small bowl and mash until spreadable. 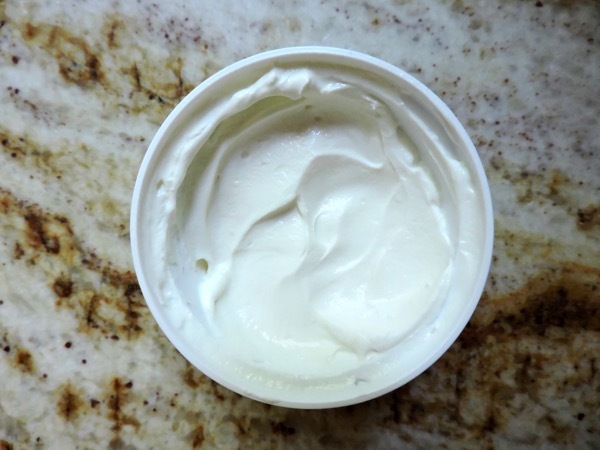 Stir the creamy goat cheese in its container until smooth and spreadable. 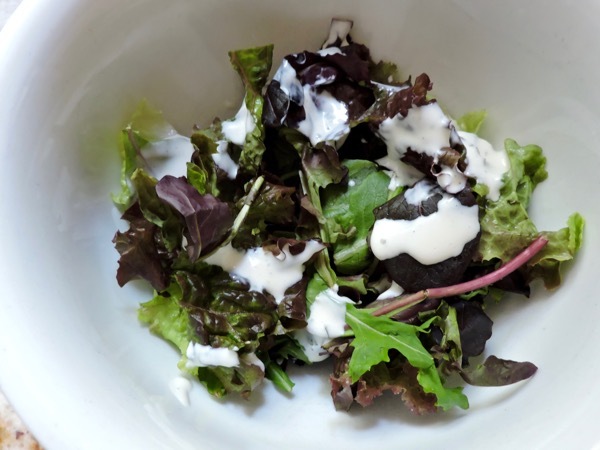 Toss mixed greens with enough light ranch dressing to coat. Season with salt and pepper. 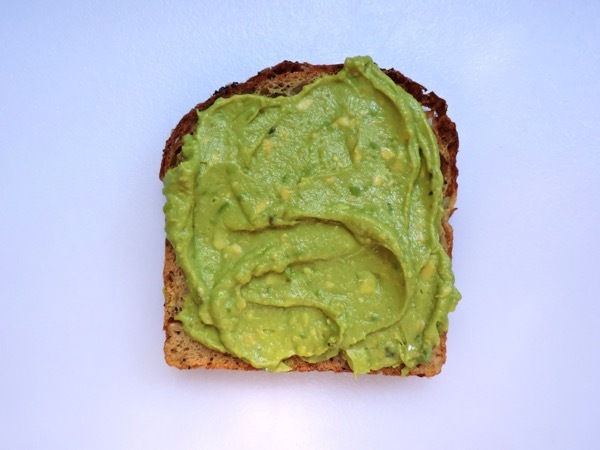 Spread the mashed avocado over one of the slices of bread. 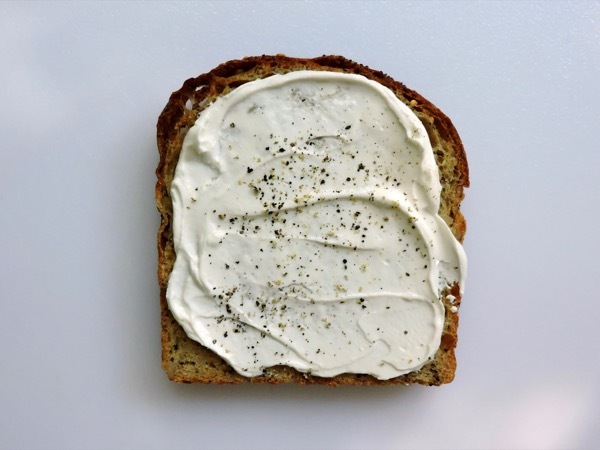 Spread the creamy goat cheese on the other slice of bread. Season with salt and pepper. 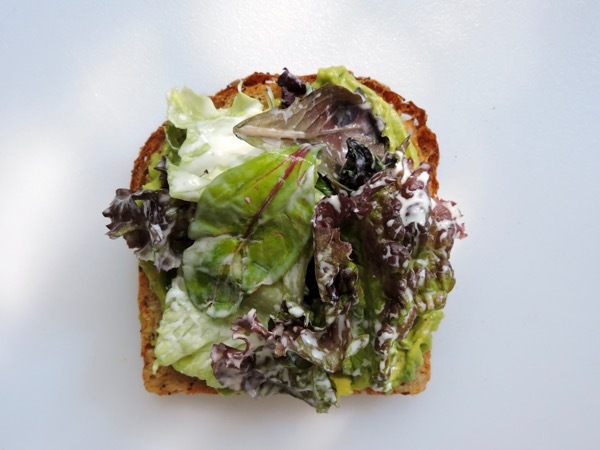 Top the avocado side with the dressed greens. 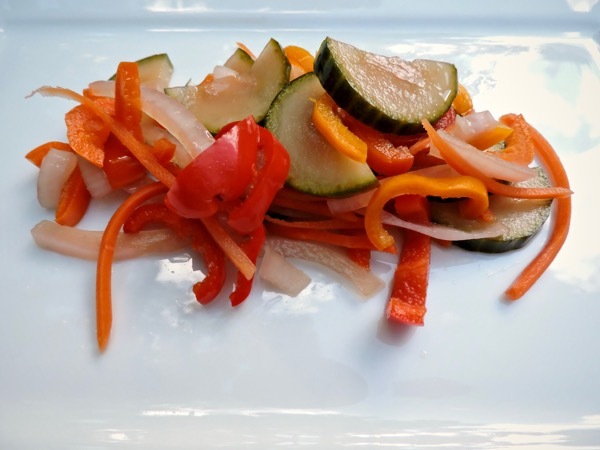 Finish with some drained pickled vegetables. 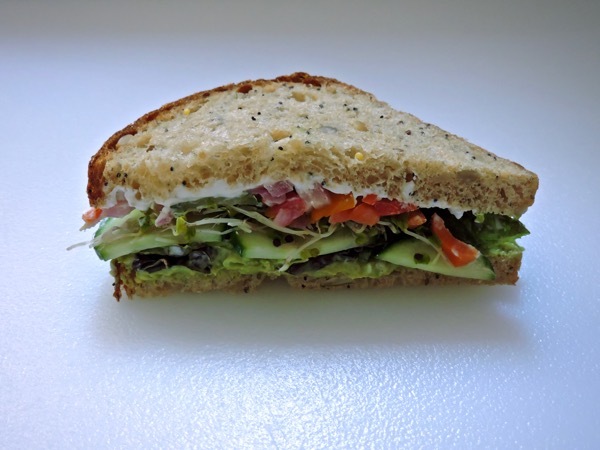 Place the goat cheese sided bread, goat cheese side down, on top. Press to close and cut on the diagonal. 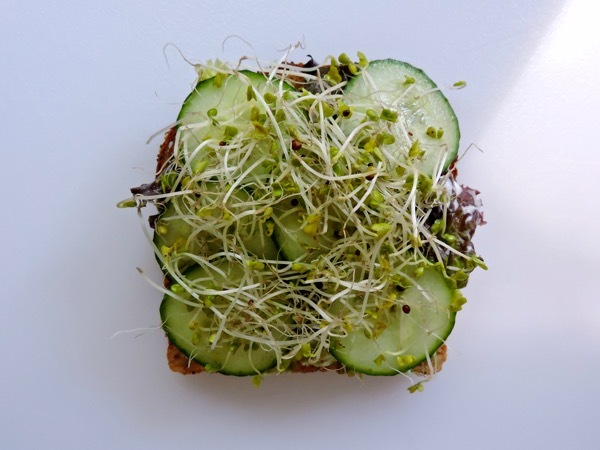 One bite and you'll be California dreamin' on such a winter's day. wow!!! TALK about INSPIRATION.......!!!!! Makes me....drool!! just reading about and looking at your dreamy pix!! !